Things can get confusing when you’re walking down an aisle full of supplements in the grocery store, there are countless options! You can even read all the labels and still not know which vitamins you should actually take. As a nutrition coach who focuses on whole foods for optimal nutrition, I believe that food always comes first and no pill should ever replace healthy eating patterns. However, there are a number of certain situations where food is simply not enough to meet a client’s nutrient needs. Remember, it’s a supplement not a replacement. So, which ones work and which don’t? How do you know the supplements you’re taking are safe? How do you know if any of them contain dangerous substances? There are about 60,000 supplements and natural food products on the market today, and the more information that is available about supplements, the more confused people become. 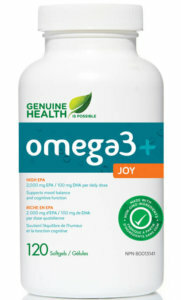 For healthy individuals who exercise regularly, there are three basic supplements which help fill common nutritional gaps: a protein supplement, a green food supplement, and a fish oil supplement. To make this easy for you, I’ve put together a list of recommended supplements, how much you should be consuming, and which brands Precision Nutrition has researched intensively and has had success with. For active people, it is recommended to consume 1g of protein per pound of body weight. However, most women get only about 80-100g of protein per day while men get 110-130g per day. Of course, protein supplements should never be used as an exclusive source of protein, but we need an adequate amount of protein for optimal body function including a strong immune system, metabolism, satiety, weight management and performance. If you’re going to use a protein supplement, 40g/day is an average amount while 80g/day should represent an upper limit of supplemental protein intake. An excellent plant-based protein source; it’s a great-tasting, dairy-free, vegan protein using a blend of rice and pea proteins. 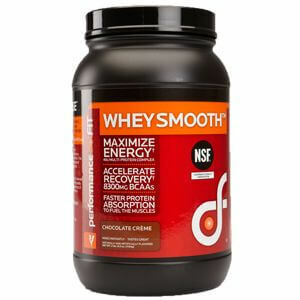 The result is a protein powder with an amino acid combination that closely resembles whey. Another plant-based protein blend from Genuine Health. 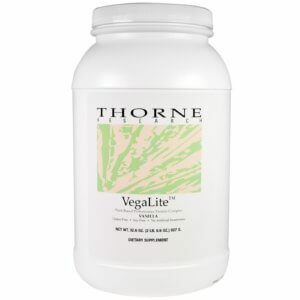 This supplement contains 5 veggie protein sources, 8 essential amino acids, vitamins and minerals, and no animal products whatsoever. The recommended fruit and vegetable intake is at least 5 servings per day; however, only 3% of men and 7% of women meet this minimum. When you consume this daily intake of fruits and vegetables, you get the variety of nutrients and phytochemicals needed to help lower your risk of heart disease, prevent cancer and other illnesses as well as maintain optimal health. And that’s where the greens supplements come in. 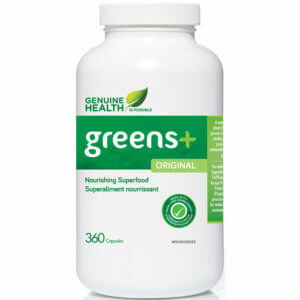 While greens cannot replace a diet with plenty of vegetables, the blend of antioxidants, enzymes, phytonutrients, vitamins and minerals in these products can be extremely helpful, especially when you are traveling and it is difficult to consume fresh produce. Try adding a scoop to your protein shake for an extra serving each day. 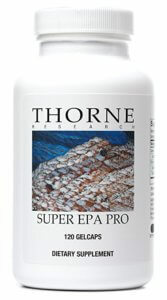 Lastly, the minimum recommended EPA and DHA intake is 900mg per day, but the average American gets only 300mg per day. That’s only a third of what is necessary for good health! For those who aren’t sure what I am referring to, EPA and DHA are the healthy fats present only in fish oils. These two powerful fats are responsible for things like increased metabolic rate, and reducing our risk for illnesses like cardiovascular disease, cancer, and diabetes. 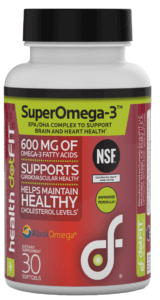 This product provides fish oil in capsule form and is free of heavy metals and toxins. It also contains peppermint oil for a more pleasant taste. Is it possible to get enough protein, greens, and fish oil from food? Absolutely. However, very few people come close so these three supplements are a huge help in supporting their intake when they are having a bad day nutritionally speaking, or when they are busy and on the road. Remember that these products are meant to supplement a healthy diet full of lean protein, fruits and vegetables, and healthy fats!